America’s Work Force Radio examined the consequences of privatizing the U.S. Postal Service. Executive Vice President of the National Association of Letter Carriers, Brian Renfroe, joined AWF on Jan. 31 and discussed privatization of the postal service. Renfroe’s father worked as a letter carrier, and he proudly followed his father’s footsteps. The NALC has about 200,000 active members and around 80,000 retired members – all who would be affected by privatization. In addition to affecting postal carriers, privatization would negatively affect the general public. Currently, all U.S.P.S. patrons receive their mail for the same rates. If the U.S.P.S. was privatized, high density areas would be prioritized on mail delivery and suburban and other less dense areas will either receive their mail at a decreased rate. Earth Justice Vice President of Litigation Patrice Simms appeared on America’s Work Force Radio and spoke about environmental law protection. 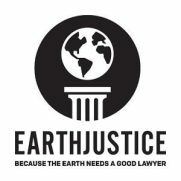 Earth Justice is a non-profit organization, which works to represent civic organizations, community groups, labor unions, and more, to fight for sustainable energy, clean air and various types of environmental protection. Simms highlighted 17 major cases his firm worked on, which resulted in significant decisions and 16 overall legal victories. He also discussed the Whitehouse’s Environmental Protection Agency rollbacks on smog control and pollution, which is drastically affecting people, especially those with asthma. AWF host Ed “Flash” Ferenc talked about the proposed bill to make Election Day a paid federal holiday.